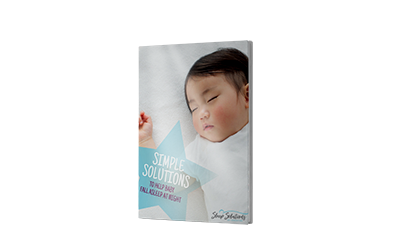 ​The 6 Simple Solutions to Help Your Baby Sleep guide is perfect for you if you spend night after night dreading bedtime, feel frustrated that your child wakes so quickly after you get them into their crib and worry that your child will never sleep through the night. For your FREE sleep guide, enter your name and email address. By signing up you will be added to my newsletter list. Don't worry, we hate spam and promise not to share your information with anyone.